Algo trading is mostly used by large institutional investors who need to buy and sell large volumes of shares on a day to day basis. The instructions-fed computers help them to make these trades and transactions at a much faster speed and at the best possible price. Due to these reasons, algo trading has become quite popular among the institutional investors after being introduced in India in 2009 and leads to 35-40% of the turnover on the Indian exchanges. Recently, algo trading has seen a reasonable jump in usage among the retail investor base as well. Let’s understand how this concept has affected the lives of the trading community. Trading is a profession that requires extreme dedication, concentration and practical approach. The person who enters the field of trading must ensure that he remains focused on all his trades at all times and does not let himself get affected by emotions like greed and fear. 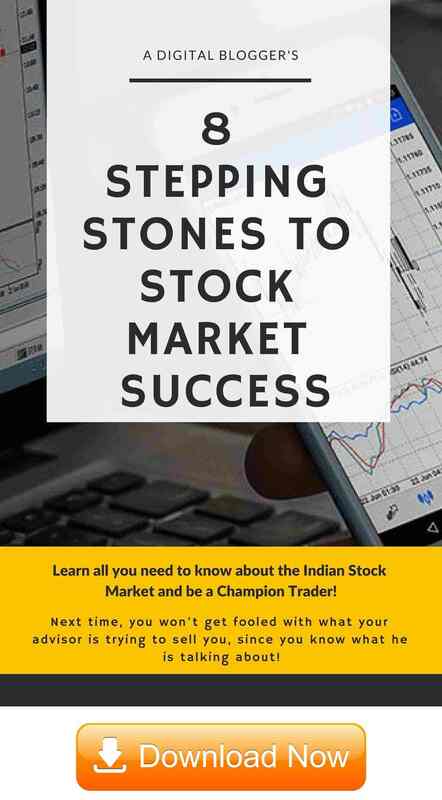 The traders also need to be very knowledgeable of all the aspects of trading including the world economy, the historical data of a company and the effect that each factor can potentially cause on the prices of the shares or commodities or options. Having said that, All this is easier said than done. There are multiple instances wherein a trader loses his focus and concentration, and gets affected by emotions and psychological factors and ends up making decisions that he should not have made. All these errors are humane and unavoidable. Most of these drawbacks can be taken care of with the advent of technology and the use of this advanced technology in the field of trading. Algo trading is one such advancement. Algo Trading or Algorithmic Trading is the mechanism by which the computers (or softwares, sophistically speaking) are utilized to make the trades instead of humans. The human intervention is kept to the minimum and the computer softwares are loaded with programs and algorithms to create trading strategies. 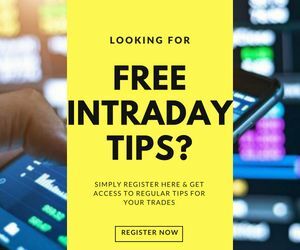 These trading strategies are then implemented to get optimum results. The trading instructions are pre-loaded into the algo trading softwares with reference to variables like time, volume and price and the computer, in turn, makes the trade according to the instructions given to it. The algo trading, thus, becomes precise, accurate, well-timed well-executed, without any possible human errors. Algo trading may be chosen to have a minimum to no human intervention. When there is no human intervention, they are called zero-touch algos. The programs are pre-entered and as soon as the programs observe an opportunity to execute a trade, they do it immediately without any human control. Another method is the Application Programming Interfaces (API), which is more commonly used in India. 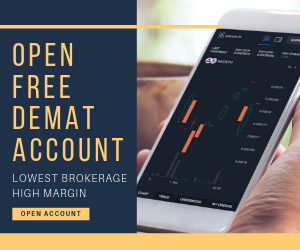 In this case, the traders decide on their strategy, instruct the program and then they execute the trade using the information obtained through the API. Let us consider an example of the criteria that a trader mostly uses while executing a trade. He uses moving averages as the technical indicator and buys the stocks of a company only when the 30-days ‘moving average’ price of the stock goes more than the 180-days moving average price and similarly, sells the stock when the 30-days ‘moving average’ price of the stock goes below the 180-days moving average price. This criterion can be easily fed as a computer program into the software. So, this algo will only buy a specified number of shares of the specified company, only when the 30-days moving average is more than the 180-days moving average. Therefore, the trader has specified the time, price and volume to the program as an algorithm and the software will keep on monitoring the price of the stock and execute the trade on the trader’s behalf as soon as the pre-specified criteria is met. The trader does not need to keep a track of the prices and identify the trading opportunity, the algorithm does it for him. 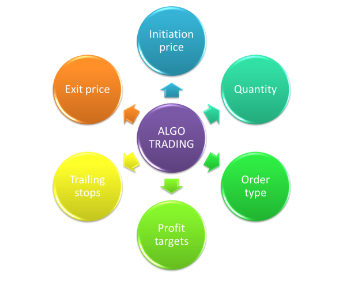 The entire premise of algo trading works on speed and accuracy. For a trader to make algorithmic trades, he must have access to very high-speed network connection and a computer that is programmed with the prerequisites. The trader also requires feeds coming into the software about the stock prices, forex rates and historical prices. Speed is a very critical factor for algo trading; if the execution of the trade gets delayed even by milliseconds, the prices may get changed and the executed trade can look very different from what the trader wanted and expected. This can lead to huge losses and you may be stuck up with open positions with no exit options. In order to ease the situation and make algo trading more accessible, SEBI has announced certain norms that ask the stock exchanges to allow co-location services to the traders. By doing so, the traders and institutional investors can get their servers located in the same premises as the stock exchanges by paying rent and get much faster access to the stock exchange data. The exchanges have also been asked to provide tick-by-tick price data to the traders so that they know the best price and can take advantage of it. Speed: The algorithms consider a variety of factors, parameters and technical indicators at the same time, analyse them and execute the trade within a fraction of seconds. This high speed becomes very beneficial as the prices are captured as required by the trader. The orders are entered within a few seconds and exit also becomes equally fast as soon as the stop loss is hit. Accuracy: A huge benefit of algo trading is the minimum intervention of humans, which means a minimum possibility of errors. The algos are checked and they do not get affected by human errors. A trader may make a mistake in analysing the moving-average but the computer program does not. Trades are executed as required with maximum accuracy. Reduction in cost: With the use of algo trading, high volumes of trade can be executed at a time and this leads to a reduction in the transaction costs. Increased market volumes: Since algo trading enables large volumes of shares to be traded within a few seconds, it increases the overall volume and liquidity of the market and makes the trading process more systematic and streamlined. No Emotional Goof-ups: There are times when a trader ends up making the wrong decision because he was either too greedy or too scared. He may have wanted to earn more profits or to reduce his losses, which made him change his trading strategy last minute and he needs up with monumental losses. With the use of algo trading, the effect of emotions is minimised and the trading remains consistent and disciplined. The algorithm will process the trade as indicated and the strategy will not be changed last minute due to what the trader feels. The algorithms help the traders to plan the trade and then trade the plan without getting distracted. Ability to backtest: One of the advantages of algo trading is that the new programs created are first backtested on the historical data to see if the strategy works or not. On the basis of the outcome, the trader or programmer can make amends to the program and fine tune it till it meets the requirements. Just like all other forms of technology, algo trading also has its drawbacks. The biggest drawback is the dependence on machines and technology. If the systems or the machines fail, the entire trading set up becomes worthless. The traders must learn how to create complex algorithms and at the same time, all the programs instructed may not actually end up working in a live scenario. Another big drawback of algo trading is that there is absolutely no control in the hands of the trader once the algorithm has been instructed and starts functioning. Even if the trader realises that the trade will lead to huge losses, he cannot intervene and change the program to stop making that trade. As a bottom line, like all the forms of trading, algo trading has its own pros and cons. The traders must be careful while creating the instruction algorithms and use due diligence while applying them to real-life scenarios.